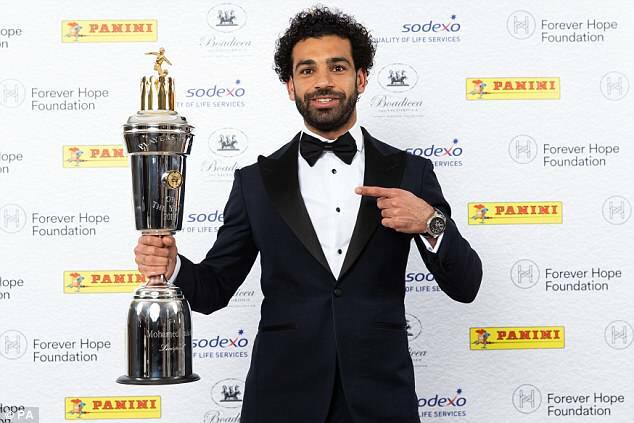 Mohamed Salah has claimed a personal double by adding the Football Writers’ Player of the Year award to the PFA gong he won two weeks ago. 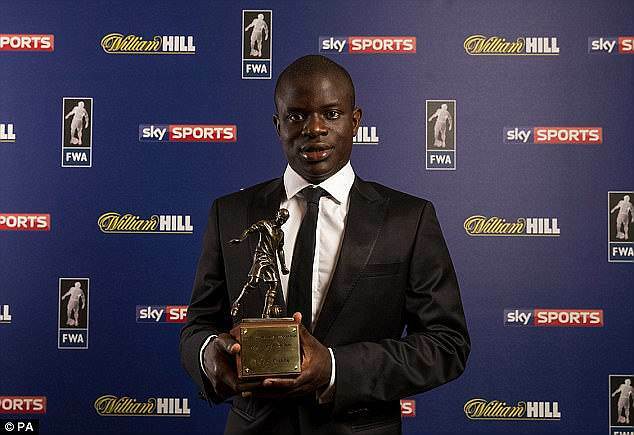 The Liverpool superstar’s achievements at club level have been rightly recognised with Salah following N’Golo Kante’s feat of winning both individual awards. 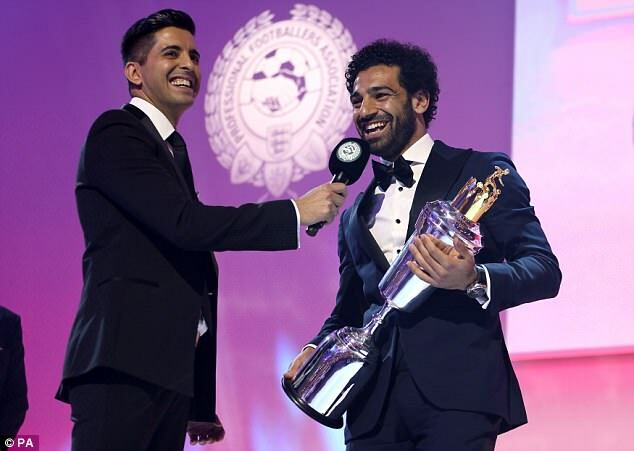 Over 400 journalists who are among the Football Writers’ Association (FWA) were allowed to vote for their player of the year and Salah came out on top. 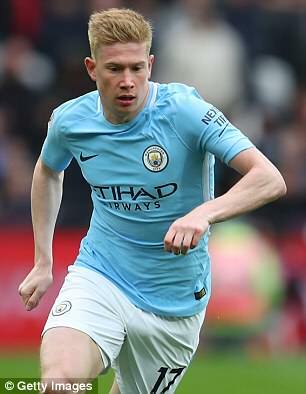 The Egypt international narrowly topped the poll of the 400-strong FWA membership ahead of Manchester City midfielder Kevin De Bruyne, the margin understood to be less than 20 votes. Tottenham striker Harry Kane was third. Salah and De Bruyne, who helped City claim the Premier League title, collected more than 90 per cent of the journalists’ votes. He becomes the first African winner of the football’s oldest individual award, which has been running since 1948. Salah will be presented with his trophy at the 2018 FWA Footballer of the Year dinner, to be held at the Landmark Hotel in London on May 10. Patrick Barclay, FWA Chairman, said: ‘It’s been the tightest call since 1968-69, when there was a dead heat between Tony Book of Manchester City and Derby’s Dave Mackay. ‘Right up to the last week or so we thought it might happen again, so strong was the support for Kevin De Bruyne, but Mo Salah’s relentless match-winning form, exemplified by his two great goals against Roma, seems to have swung the vote by a very narrow margin. Other players to receive votes from FWA members this year were: Sergio Aguero (Man City), Christian Eriksen (Tottenham), Roberto Firmino (Liverpool), Nick Pope (Burnley), David Silva (Manchester City), Raheem Sterling (Manchester City) and Jan Vertonghen (Tottenham). Salah’s first season back in England has been nothing short of incredible with the forward scoring 31 goals in 34 Premier League games. He has also helped lead Liverpool to the semi-finals of the Champions League by netting 11 goals in 13 European games. 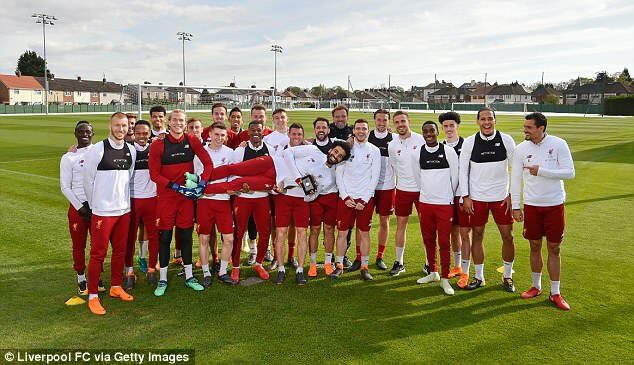 Salah will be hoping to impress on the European stage once again on Wednesday night when Liverpool take on his former employers Roma in the second leg of their semi-final tie. The 25-year-old, who will represent his country at this summer’s World Cup in Russia, netted a brace in the first leg which finished 5-2 to Jurgen Klopp’s side. Eyebrows were raised when Liverpool decided to fork out £36million on Salah in June as he failed to make the grade at Chelsea during his previous spell in England. 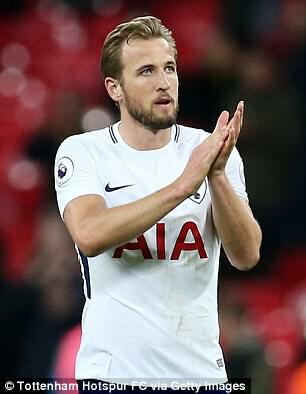 However he has proved his doubters wrong and looks set to beat off a late surge by Kane to finish the campaign as the Premier League’s top goalscorer. Kane, who scored against Watford on Monday night, is four goals behind his rival with just three games left to play. 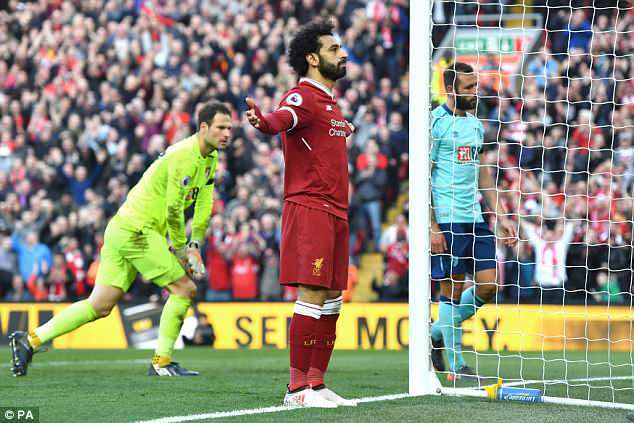 Salah needs just one more goal in Liverpool’s last two league games to become the first player to score more than 31 times in a 38-game Premier League season. He equalled the record held by Alan Shearer, Cristiano Ronaldo and Luis Suarez when he hit the back of the net against West Brom on April 21.